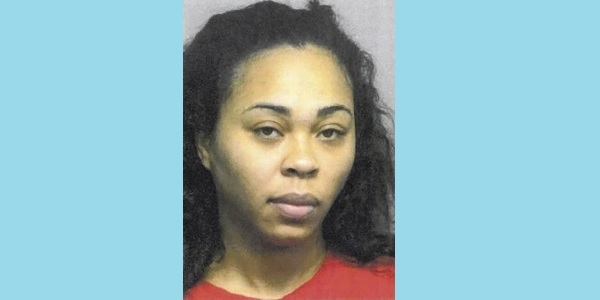 Cierra Alexis Sutton from Bytown, Texas, is believed to fatally shooting her boyfriend, dismembering him with a machete and scattering his remains in dumpsters in her apartment complex. The victim, Steven Coleman, was last seen on an Aug. 16 evening in the area of 1700 block of James Bowie Drive. According to the police, Sutton told others that she shot Coleman in the head following an argument when he was asleep. Allegedly, Sutton claimed that the victim's body was to heavy to carry, which led her to dismembering him and dumping his remains in trash cans. A man's torso was found in a Chambers County landfill on Aug. 22nd that receives trash from different areas, Baytown among them. The torso has not been identified as that of Coleman, but according to sources, it has several distinctive features that led them to believe he was the victim. Investigators discovered that Coleman's credit card was used several times after his disappearance, and that the woman on the surveillance tapes from the stores closely resembled Sutton. Blood was found inside her car, and she failed to appear to three interviews she was summoned to by police. Sutton is the primary suspect of Coleman's disappearance, and his facing murder charges. If investigators find that Sutton is indeed guilty, she will spend many years behind bars. Her criminal records will become public records, and access to them will allow others to find out about her past. Access to criminal records is highly important, as we can not be sure if people we meet tell us the truth about themselves. With a background check directory, people can be aware of the history of others, and decide the nature of their relationship with them.